From protective toes to the highest levels of traction; work boots have evolved since the first ever shoe was created. And while user safety and worker protection have remained at the top of the list for many manufacturers, the work environment is becoming safer by the day. Thanks to regulations, laws and technology advancements, there are hardly any cases of accidents and injuries at the workplace. This is why more and more workers have been steadily turning to soft toe work boots that are designed to offer other forms of safety while still giving the worker much higher levels of mobility. Otherwise known as non-protective toe boots, soft toe shoes do not come with cumbersome steel or composite toe caps. As such, soft toes are more preferable since in addition to being super light in weight, they come with incomparably high comfort levels and more forefoot flexibility. 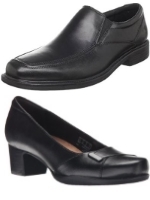 Here are our top 3 soft toe boots that will let you perform without detracting from your job. Looking at Timberland’s extensive array of shoes and boots, you would be forgiven for thinking that the entire line is based solely on fashion. Well, that may be part of what makes Timberland so damn popular, but you can’t have style without function. This is exactly what some of the best work boots from Timberland have to offer. And not just any old boot, we’re talking about the Timberland PRO Men’s Pitboss 6″ Soft-Toe Boot. Featuring rugged, nubuck leather uppers and Goodyear Welt construction, you can rest assured that this work boot will not let you down when you need them most. The PRO Men’s Pitboss Work Boot from Timberland is everything that a modern work boot ought to represent; safety, toughness, durability and comfort. Not every job calls for cumbersome protective toes. That’s why Timberland incorporates a soft toe construction that not only meets ANSI safety standards but also offers a much roomier fit than other boots. The bottom is just as well protected as the top. When you step out, the well treaded outsole guarantees unsurpassed traction thanks to slip, oil, and abrasion-resistant construction. With all these tough, nail bending features on the outside, how does the inside feel? I’ve heard many descriptions, but if we’re talking about the pro series, it feels like walking on mushy clouds on a sunny day. This is all made possible by Timberland PRO 24/7 comfort suspension system that significantly cuts down foot fatigue. There’s also a pair of supports that help you with proper foot posture. Dare I say that the Timberland PRO Men’s Pitboss 6″ Soft-Toe Boot is among the most comfortable work boots you will ever come across? Aptly named after the hardworking men and women who mine Minnesota’s northern iron range, the Iron Ranger is a symbol of what people can achieve when they put their minds and bodies to it. Imagine how tough a shoe needs to be so as to survive years of abuse down at America’s largest iron ore producers. The rugged and hardy Iron Ranger work boots were built for miners who required multiple layers of leather over the toe for extra safety. Thanks to their artistic craftsmanship and intelligent use of components, Iron Ranger has managed to remain the most popular brand for generations. Today, we shed some light on the Red Wing Heritage Iron Ranger 6-Inch Boot that has millions of people talking all over the world. Just one glance at the shoe and you’ll see just why it has to be on our list of best work boots ever. Making use of premium quality leather and insanely durable stitch down welt construction, the Heritage Iron Ranger Boot from Red Wing is handcrafted in the USA. You know what that means; the highest quality components and materials meets even higher levels of craftsmanship. By incorporating a soft toe that complements other protective features, you get much higher levels of agility and comfort than you would with a protective steel toe. This also means that the boot is safe to wear in areas with electrical hazards as well as environments with temperature extremes. From the bottom of this particular model, the boot is built on non-marking, oil and slip resistant sole that is then handsomely detailed with some great detailed stitching. The highly polished eyelets and hooks make for one heck of a classy finish. Trusted not only for their durability by today’s hard-working men, Caterpillar boots, and other exciting products have been used by people all over the globe for years now. In fact, whenever the name Caterpillar is mentioned, reliable, hardy and heavy machinery immediately come to mind. It is these exact same standards of durability and quality that have seamlessly translated into all their footwear too. Today, some of the best work boots on the planet have the name CAT embedded right in their hearts. Without a doubt one of the best work boots that are carefully constructed to outlast all others, the Caterpillar Men’s 2nd Shift 6″ Plain Soft-Toe Work Boot is built for it. The second shift series has indeed proven itself to be worthy and a pretty darn great all-rounder. You get a little bit of everything that you would expect in a work boot and more. Boasting of single stitched Goodyear welt construction, you can rest easy knowing that your boot was made for harsh times. All props go to CAT for making all efforts at safety improvement. With their non slip, oil and water resistant rubber outsoles, maintaining a firm footing should be very easy. What really grabbed our attention was the choice to get a soft toe included in your work boot. This is an excellent option for anyone who is on their toes all day and would rather not be slowed down by reinforced, heavy steel caps. Of course, the Men’s 2nd Shift Plain Soft-Toe Work Boot is not rugged all over! The interior is as soft and as welcoming as possible. Thanks to comfort insulation lining and extra padding on the collar and tongue, your feet get the best environment possible. Those are what I call some super comfortable work boots.